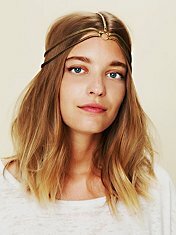 Recently a new trend that is everywhere now is head wear. I'm not talking about a headband you throw on when your having a bad hair day. When people use to hear the word turban you would think of the middle-east or a religious headpiece, but now the turban has made it's mark and is now a huge fashion trend. 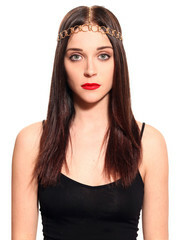 Celebrities and fashion icons, like Mary Kate and Ashley Olsen, have been seen wearing this new head wear. 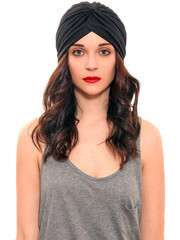 I have been obsessed with turbans for a while now and you can find them in allot of stores. Turbans aren't the only thing that people have been into lately. Headdresses are also very popular. The chain and metal headdresses have been found everywhere lately and I love them. Let me know what you think of these funky head wear!